This unusual newly formed formation warranted attention due to its creation of ice in China. Anyone building a snowman will be aware of the disturbance and footprints normally left around the construction. This appears to be ice that is floating on lake water, not land. As stated – ‘the unknown is unknown’. 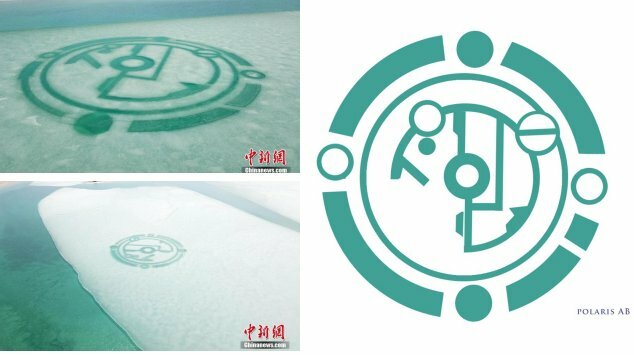 China News : On April 12th, a giant mysterious figure appeared on the ice on the south side of Haitai, Qinghai Lake Erlang Sword Festival. According to the photographer, Qing Xiu, Qinghai Lake Tourism Group Co., Ltd., the deputy general Heng Xiu introduced the picture was taken at 11 o’clock on the same day, the area is more than 100 square meters, the specific reasons for the unknown are unknown. Text / Hu Guilong map / Hengxiu. Thank you to Ray Joy. When someone says we are all connected and we are the embodiment of the universe and we are holding the light, here’s what that means to me. The universe and everything in it down to the fermions, bosons and strings is amultidimensional hologram. All “things” are multidimensional fractal holograms that render themselves based on direct and indirect light energy reflections. These reflections create additional multidimensional fractal holograms. This is due to the nature of light and the holographic universe. Every “thing” and “action” is already there. Because light energy is a combination of multiple spectra it transforms as it reflects theholographic universe. The universal hologram is non-local – the same pattern exists everywhere and its fractal fragments are replicas that reflect light in their own unique way. They are; however, also non-local and embody the entire universal hologram. Our perception tells us that light energy travels through the universe but it does not. It already exists everywhere. It would be easier to understand this if we think of our perception as a group of thoughts that need maturation. This perception, which is warped in our energy hologram, is our current conundrum. Metaphorically we have the tail wagging the dog. It is an awareness-limiting factor mostly caused by us having an expected outcome for our perceptions. We overlay expectations onto the hologram, warping distorting and corrupting our perception of the image. What we then perceive is the semi-expected results. This is what creates location and timeline, which in turn creates things and actions. The Multidimensional fractal holographic collection that we call the universe contains no time and no location. The concepts of time and location are a consequence of our awareness-limiting perception. When we understand what something “looks like” without the concepts of time and location, we are subsequently drawn to the idea of a multidimensional holographic universe. In this definition of the universe every “thing” is completely inter-connected. Since there are no actions, only reflection and refractions, there is homeostasis. Homeostasis in this context requires no regulation. There are no contradictions, no positive entropy, and no duality. The only “thing” that exists is unity. Unity requires us to understand that while we individuate, we are not individuals. We are the fractal hologram of the quantum universe. Realization is enlightenment and means we are able to command time and location; for example, be two places at the same time, control gravity, and emanate neutral entropy. Entropy is concerned with measuring order and disorder. Neutral entropy means homeostasis and especially in this context homeostasis without regulation. Some say as we raise our vibration or light quotient we create a neutral energy torus (neutral entropy or homeostasis). In this interpretation, it already exists and we, through our perception, find it. Turning something and viewing it from a different angle is what I attempted to do. This perspective may help resolve what might be considered inconsistencies in descriptions. Although, language is sometimes a bit ambiguous. Please take away only what rings true. Our guides and higher self steer us towards a flow, an energetic groove that we can lock into with daily practice. Balancing our chakras allows this free flow of energy connecting us more to our groove, our path of surrender, integration and higher frequencies. This is key to surviving dimensional transition. Yoga, meditation andnature are the best ways to encourage this free flow of energy through our mind body soul chakra system. Stay centered and calm, refuse to let external or internal drama dominate your day. Be kind to yourself. Manifest your dreams. Healing the emotional wounds, largely before subconscious, becomes more accessible as the PURE love waves push up the ‘oil’ of these wounds to be felt and digested. Healing the soul wounds, largely before shrouded in fog, becomes more clear as access to the Akashic recordsopens up more and more with increased galactic consciousness integrated in a personal way. The healing of heart and soul is MORE important than ever though (even if it becomes ‘easier’ in some ways) because these unhealed frequencies can block, anchor, lower your frequency, and also because it is ‘time’ it seems to let them go. 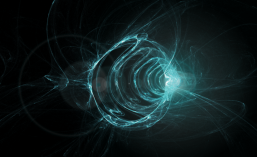 Fourth dimensional (4D) transitional andawakening consciousness holds the space and the stage for this healing, for this death and rebirth, for the blooming of the authentic self out of the ashes of the false and strategic self. The veil has been necessary. It has been necessary for us to fully go into our experience and experiment of duality consciousness in 3D reality. We have played that out now and it has changed us from the energies and processing ground that we were coming from in Atlantis orLemuria. These experiences harvested from the 3D experiment form the foundational soil for which the seed of the sacred human is growing and sprouting. Watered by the PURE love that is available from galactic and angelic sources, the seed is sprouting, the sacred human is birthing. Messy at times, this birth, ups and downs…..yet, the baby is gestating then it is wailing and then it is waking UP! Could The Film ‘Arrival’ Be The Blueprint For Our Collective Spiritual Awakening? ‘Arrival’ is the modern Kubrickian science fiction blockbuster directed by Canadian prodigy Denis Villeneuve that has received eight Academy Award nominations for 2017, including Best Picture and Best Director. I hope it wins them all. In my opinion, ‘Arrival’ is much more than just a great movie. In fact, I believe it could be the most important piece of art made in my lifetime. The film begins with flashbacks of protagonist Dr. Louise Banks (Amy Adams) tenderly holding her newborn daughter. We soon learn that in present time, Dr. Banks is being pursued by the U.S. Military for her linguistic expertise, in an attempt to establish communication with a species of aliens who have inexplicably descended on earth. The aliens, dubbed Heptapods as their nearly featureless grey bodies are supported by seven spindly legs, occupy oblong primitive stone spacecrafts which hover a few dozen feet above the ground in twelve seemingly random locations around the globe. Dr. Banks and theoretical physicist Dr. Gary Donnelly (Jeremy Renner) spend several months attempting to decipher the language and intentions of the Heptapods through a glass window in their stone spaceship, while linguists and physicists around the world do the same. As might be expected, all world governments are urgently suspicious of invasion and/or warmongering. The aliens eventually transmit that they have come to earth to share a gift with humans. It is unclear in translation whether this gift is a ‘weapon’ or a ‘tool’. The message from the Heptapods is perplexing, but even more so is the language in which it is conveyed. Heptapods write in circular logographs penned via a single squirt of buoyant ink from their tentacled palms. As Dr. Banks works tirelessly to understand the aliens, she is haunted by vivid intrusive memories of her daughter’s rich childhood ending in an untimely death from a rare disease around the age of thirteen. Tension mounts as most world governments, influenced by a particularly reactive Military General in China, conclude that the aliens are attempting to wipe out human civilization by gifting weapons to be used against one another. Convinced of their malicious intentions, General Shang aims to lead a global war against the aliens. While he is poised to strike, Dr. Banks makes her way behind the ship’s glass barrier into a dense misty atmosphere where the Heptapods explain that the gift of their language is a circular, nonlinear, simultaneous perception of time. They finally share their true intentions: “We help humanity. In three thousand years, we need humanity help. Louise sees future. Weapon opens time.” It is only then Dr. Banks understands that her recent vivid daydreams of a daughter are not some psychotic intrusion, but rather a glance at her future life. While struggling to integrate this devastating truth, Dr. Banks knows she is the only one who can put to use the real gift the Heptapods are offering humanity: the technology of nonlinear time and nondualism. As she runs to inform the military that they are making a grave mistake and can abandon war and work together for all to prevail, she is hit with a memory of her future, where at a gala of international dignitaries, General Shang thanks her for single-handedly preventing world destruction. He relays his personal cell phone number and the last words of his late wife, reminding Dr. Banks that was how she was able to call and convince him to stop the war. As her future memory floods in, Dr. Banks contacts General Shang in the present, just in the nick of time to close the loop. In the nonlinear experience of time she has acquired along with the Heptapod language, Dr. Banks has seen a future in which her pubescent daughter dies in her arms; a future in which her husband leaves her when their daughter is 4 years old, because he is so disturbed in learning their fate. At the conclusion of the film Louise Banks realizes it’s Gary Donnelly who is her future husband, who will love her deeply then leave her to a life of loss and loneliness. Knowing all this, she chooses to live every second of the life that’s coming. It is far from a perfect path, and it is her path, so she embraces it with an aching, yet open heart. ‘Arrival’ plays like a palindrome. Louise’s lonely past in her house by the water is indistinguishable from her future after her daughter Hannah (another palindrome) dies. The beginning and end of her story are the same, both arcing toward a meaty middle. The film itself traces a circle, like the Heptapods’ logographs. There are several time paradoxes in the film, such as when the future General Shang gives Louise the information she needs to impact himself in the past. Time paradoxes reverse causality, and thus call into question the split of cause and effect. Like a palindrome, the causality in a time paradox can be read both forward and backward. The same is true of the Heptapod’s mission: they help us because they need our help. In order for a time paradox to exist, time itself must be simultaneous as well as sequential. Ted Chiang’s novella ‘Story of Your Life’, the work that ‘Arrival’ was based on, explains this using Fermat’s Principle of Least Time. We all know that water bends light beams so that light’s course is never straight between point A and point B, if point A is in air and point B is in water. Fermat discovered that the bent light path is actually the course that takes the shortest time for light to reach its destination. In Chiang’s words this means “the ray of light has to know where it will ultimately end up before it can choose the direction to begin moving in.” Fermat’s principle reverses causality and hints at the nonlinear nature of time. ‘Arrival’ is one of the first blockbuster films to expand beyond linearity, duality and the dominant masculine paradigm of ‘us versus them’. I have been waiting a long time for this, longing for it with all my heart. I thought ‘Avatar’ might be going somewhere until the spiritual natives conclude the only way to stop the greedy military is to wage a war. Go figure. There’s a popular maxim that the only way opposing forces will unify is to share a common enemy. This idea only exists within the dualistic masculine frame of competition and aggression. In ‘Arrival’, U.S. Colonel Webber (Forrest Whittaker) describes it perfectly: “I need to explain all of this to a room full of men who’s first and last question is, ‘How can this be used against us?’”. Most modern governments and forms of entertainment are oriented around a zero-sum game in which someone wins and someone loses. ‘Arrival’ teaches us the brilliance of a non-zero-sum game, where everyone benefits by working together. It is one of the first major films brave enough to promote the feminine paradigm of inclusion. Everyone gets to matter. There are no good guys or bad guys. No one wins or loses. Here I’m using the terms feminine and masculine not to convey gender, but instead the raw archetypal energy of yin and yang, respectively. Masculine yang energy is exclusive, linear, rational and individualistic. Feminine yin energy is inclusive, circular, emotional and collective. All of us have both kinds of intelligence inside, and both are extremely valuable. Especially when in balance. Our planet has been ruled by an unintegrated masculine framework that has all of us feeling separate and frightened. Even the feminist movement is based on an ‘us versus them’ role reversal—up with women, down with men. But I believe the new wave hipster feminists are right when they say: The future is female. My interpretation of this is that sentient beings can come together across species, genders, races, and solar systems to stop exploiting, blaming and fighting one another. Besides ‘Arrival’ there are two other famous stories with female protagonists, which explore the idea of peaceful collaboration with beings from other planets. The first was Madeleine L’Engle’s young adult novel ‘A Wrinkle in Time’, in which a girl named Meg embarks on a journey of interdimensional space travel to try to unite her family. One of the planets she visits is inhabited by beasts who uncannily resemble the Heptapods from ‘Arrival’—a benevolent race of dull grey animal-like creatures who stand upright “taller than any man” with several limbs, and have tentacled hands through which they communicate. Like the Heptapods, the beasts have no facial features except indentations where eyes might be, and their planet has a misty opaque atmosphere. Just as in ‘Arrival’ these beasts are beacons of interplanetary cooperation and unconditional love. I think the reason these three stories have female protagonists is because it is raw feminine archetypal energy—the energy of inclusion and circularity—that will allow us to bridge the gap of universality. In ‘Arrival’, Dr. Banks is selected for the mission over a male colleague because his definition of the Sanskrit word for war is “an argument” and hers is “a desire for more cows”. The feminine wisdom of empathy is what will allow our species to expand spiritually and galactically. The linchpin of ‘Arrival’ is General Shang’s wife’s dying words, which screenwriter Eric Heisserer has said he wished to include as subtitles, but ultimately didn’t make it into the film. From Chiang’s novella they were: “In war there are no winners, only widows.” The Heptapod’s gift of feminine circular wisdom reminds us that we are all one. ‘Arrival’ introduces us to the idea that time may be nonlinear: an inclusive circle. This may also be true of space. There is a scientific theory gaining momentum now which explains that the universe may in fact be a hologram. On earth, a hologram is a three-dimensional photograph achieved via laser-beam encoding. Besides the amazing 3-D images they create, with different perspectives seen from different angles, the most interesting part of a hologram is that every part of the film contains the whole. If you take a holographic image of a peach and cut the film in half, both fragments depict the entire peach. This is true no matter how infinitesimally small you cut the film. The whole is in every little part. In 1982 at the University of Paris, particle physicist Alain Aspect discovered that electrons can communicate instantaneously across any span of space. If these electrons were beaming their communication spatially, this would violate Einstein’s law that nothing can travel faster than the speed of light. London physicist David Bohm believes the reason the particles can talk instantly across vast distances is that they are in fact not separated by space . . . or rather that space is not what it seems. Bohm explains these seemingly separate particles are aspects of the same underlying holographic whole. Bohm offers a thought experiment in which a person might watch two live video screens of a fish swimming in an aquarium, each broadcast from different angles. At first one would think the two fish on the screens were connected in some meaningful way and could influence each other’s behavior almost simultaneously, when in fact the fish are one. The gift the Heptapods in ‘Arrival’ have come to give humanity is a potential paradigm shift toward nondualism, away from the ‘us versus them’ mentality with which our world, as majestically mirrored by our current president, is currently infected. With the right kind of thinking, we have the capacity to wake up as individual parts of one interconnected entity. 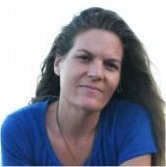 About the author: Dr. Sam Rader is a holistic and analytically-oriented psychologist with a private practice in Silver Lake, Los Angeles. She specializes in helping her clients become more integrated and spiritually awake individuals, by assisting them in freeing themselves of outdated psychological defenses. Sam is passionate about honesty, self-awareness, positivity, touch, beauty, the psyche, anatomy, the cosmos, and cats. You can connect with her on her website. Posted in Disclosure, Extraterrestrials, IN5D, The Event. The following is an easy meditation that anyone can do, any time! 1. Envision that everybody around you is part of your family. You can think of it as a family reunion. By doing so, you will eliminate any judgments or preconceived ideas about any person you may encounter. 2. Imagine your aura expanding outwards. If you are on a city street, you may want to envision your aura covering the entire sidewalk that you are on or even the entire street. No matter where you are, you can make your aura as large or as small as you like. 3. Place the intended thought of “LOVE” inside that bubble. Whenever someone walks within that area of your “Love Bubble,” FEEL the exchange of love from you to them. If all thoughts are energy, then the simple thought of love will not only help to raise your own vibration, but the vibrations of everyone you encounter. You may want to try this during your meditation as well. In this case, you can envision the love in a much larger area expanding outwards, beginning in your neighborhood and moving outwards through your city, state, country, planet and universe. Once again, you can do this meditation anywhere such as at the mall, walking on any given street at the beach or at a public park. Remember: If all thoughts are energy, then this will cost you nothing and it will help raise the vibration of many people! Just like the Love Bubble Meditation, envision that everyone around you is part of your family. This one is really simple and effective. Whether you’re walking on the street, in the mall or on the beach (or anywhere!) silently say to the people walking your way, “I love you”. It doesn’t hurt to smile, nod your head or say, “Good Morning/Afternoon/Evening” as well, but that’s not necessary. The simple intention and thought has already planted its seed! Every day, we have numerous opportunities to raise the vibration of ourselves, other people and our planet and all it takes is a little thought and intention. The vibration of love is the highest form of vibration in the Universe, so share it with as many people as possible!